(K) Start. 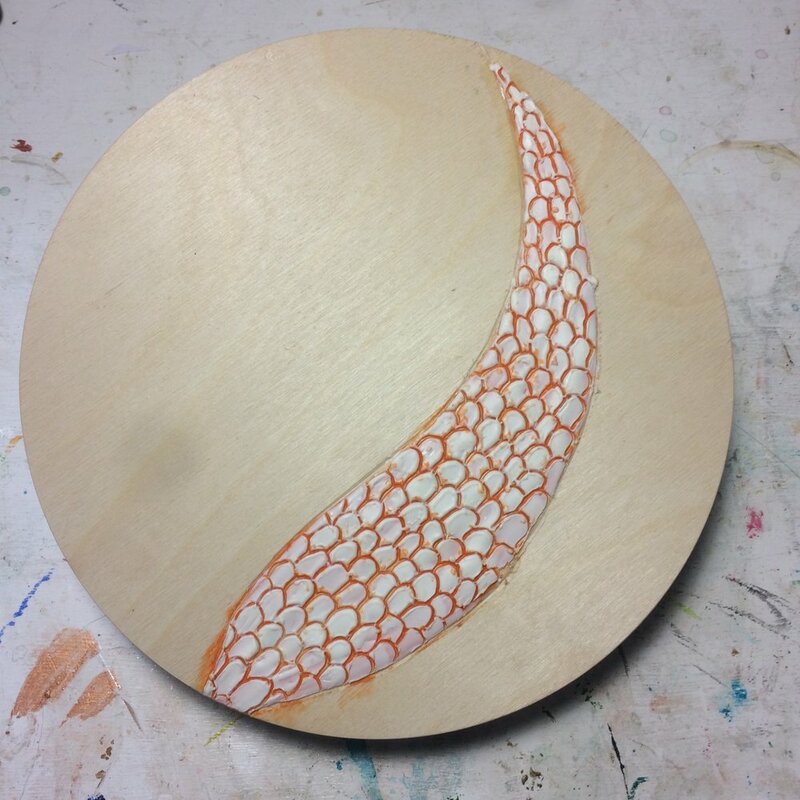 Layered orange and white encaustic, carved scales. (A) Mica flakes with pouring medium, Prism Violet acrylics. (K) Red pan pastel over purple, edged with red wax. (A) Layered Ash Tree seeds with glue. (K) Wax and pigment onto seeds and scales. Inscribed. 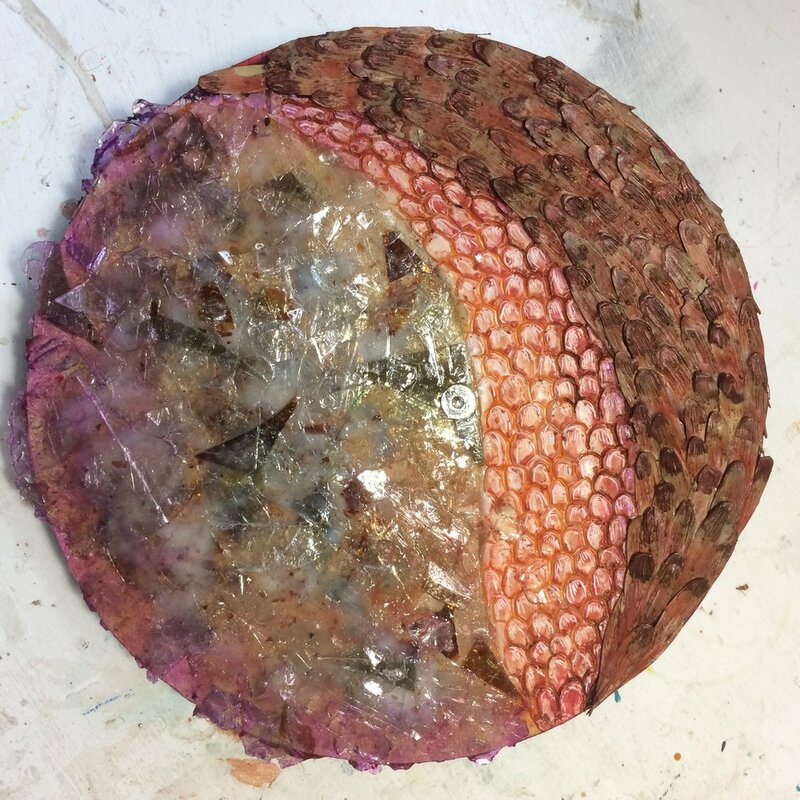 (A) Copper pigment, acrylics, Light Portrait Pink pebble circle. (K) Built up pebbles in wax, pigment. (A) Blue Violet Glaze, LPP scumble.